Here are some of the numbers that helped define the Packers 33-32 loss to the Atlanta Falcons on October 30. The Packers have now lost five of their last nine games they played on the road. They are also 7-11 in their last 18 non-division games on the road, and 25-27 in non-division road games since 2006. Atlanta scored first in the game. Green Bay is 7-13 since 2013 when the other team scores first in a contest. In the first quarter, Aaron Rodgers connected with Jordy Nelson on a 58-yard pass play. It was their first 50-yard play of the season. The Packers were also the last team in the NFL to have a 50-yard play from scrimmage this season. The Packers defense allowed 10 points in the first quarter. They are 5-5 since 2010 in games when they allow the opposition to put 10 or more points on the board in the first quarter. It was Aaron’s Rodgers’ 18th four-TD game in his career and only the third regular season loss when he had four or more TD passes in a game. Green Bay tallied 24 points in the first half. They had won 25 straight when they scored 24 or more points in the first half of a game. They are 49-3 since 1970 in such games; all three losses came on the road. The Pack is now 6-44 when behind going into the fourth quarter since 2000 (they were behind 26-24 in yesterday’s game). The Packers did not score in the third quarter and are now 11-17-1 since 2010 when they are held scoreless in the third quarter. They have lost 11 of their last 15 when they are scoreless in the third quarter. Rodgers had 60 yards rushing in the game, a career high. Green Bay is 1-4 when he gains 50 or more yards rushing in a game and 2-5 if he gains 40 or more yards rushing in a contest. Rodgers had a Quarterback Rating (QBR) of 125.5 in the game, the 28th of his career above 125. The team has now lost two games when Rodgers QBR is 125 or above. 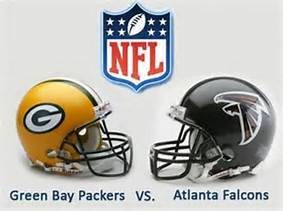 The other game was on December 30, 2012 when Rodgers had a QBR of 131.8 in a loss to the Minnesota Vikings. Davante Adams had 12 receptions for 74 yards and became the second Packers receiver this season to have 10 or more catches in consecutive games (Ty Montgomery did it the previous two games). Aaron Ripkowski had career highs in both rushing attempts (6) and yards (34) in the game. The Pack scored their last TD in the game in the fourth quarter on a drive that lasted eight minutes and 33 seconds. There have been 23 drives of eight minutes or more in the NFL this year… the Packers have four of them, most in the league. In fact, the Packers have four of the Top 10 drives (based time of the drive) in the league this season. In the Mike McCarthy era (since 2006), the Packers are now 61-6 in games when they score 30 or more points in a game. Four of the six losses have come on the road. Green Bay has now lost 14 of their last 17 when they allow the opponents to score 30 or more points in a game.